For information on our current 6803 auction, click here. Whether you collect hand tools, use them, or just study their history, let Fine Tool Journal help expand your enjoyment horizon. Power tools have their place, but hand tools keep you in touch with the sense of the wood, and the tradition and history of the craft. Our sole purpose is to spread knowledge of hand tools of all trades and crafts, with the primary focus on woodworking. Join a world-class group of editors and authors in the pleasant pursuit of hand tool knowledge by subscribing to Fine Tool Journal. For over three decades, hand tool enthusiasts all over the world have avidly read each issue of "Fine Tool Journal" from cover to cover. We've packed every issue with valuable and enlightening information, including independent evaluations of modern hand tools, tips for fine-tuning tools for best performance, historical information for collectors, coming events of interest to tool nuts, book reviews - and much, much more! 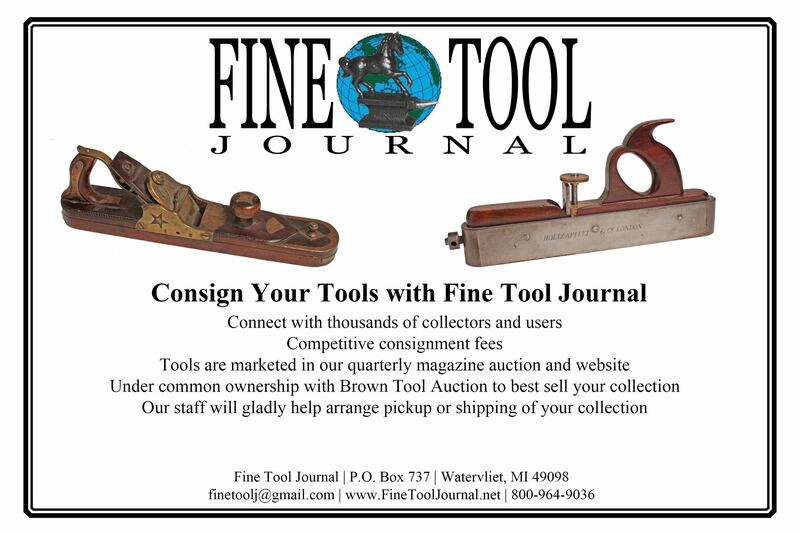 Consign your tools with Fine Tool Journal! 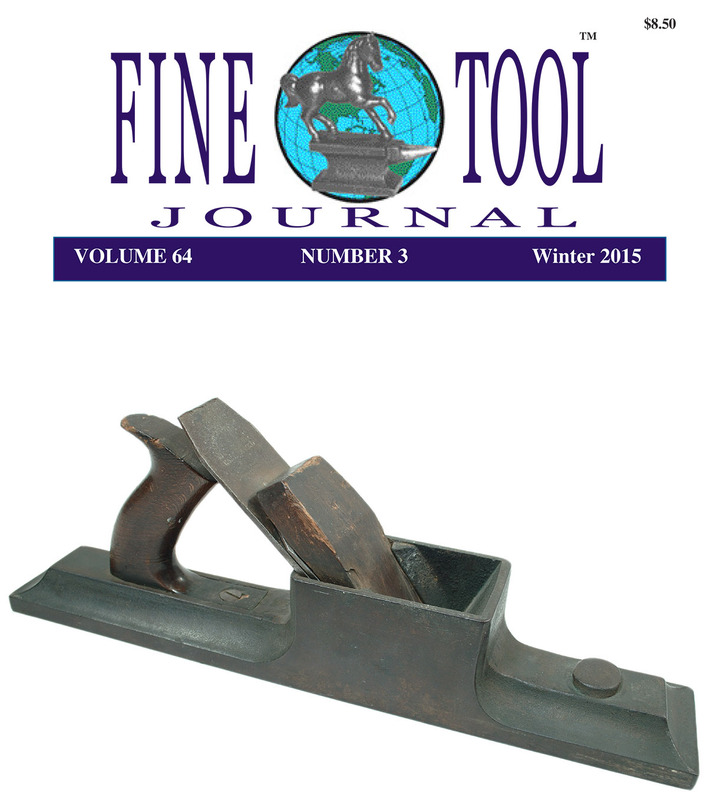 Click Here for more information about consigning tools with Fine Tool Journal. 6803 mailed mid-February and the auction ends March 10th. Click here for more info. 6804 will mail in May 2019.